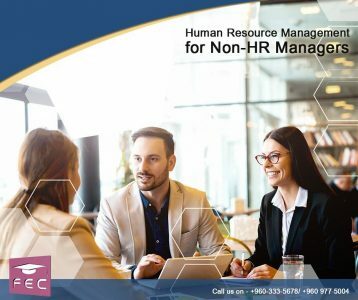 To begin the workshop, we will discuss just what “human resources” means. We might also complete a case study that highlights some of the challenges that an HR professional faces. During this session, we will look at what a skills inventory is and what its benefits are. Human resource forecasts are attempts to predict an organization’s future demand for employees. We will look at two main types of forecasting: indexing and extrapolation. A job analysis will ensure that the job description accurately reflects the tasks that the job entails. We will discuss what a job analysis is and what formats can be used. Participants will have the opportunity to complete a basic job analysis. This session will discuss how to identify technical and performance skills needed to do a job. During this session, we will explore what a job description is through a lecture and an exercise. Do You Really Need to Hire? If you need to fill a position, there may be other ways of filling it rather than hiring externally. This session will examine some of those possibilities. Participants will also complete an exercise to demonstrate how much hiring a new employee really costs. We will look at eight ways to recruit candidates during this session. A resume screening guide can be a valuable tool when hiring. This session will discuss how to develop and use such a guide. Preparation is key to a successful interview. We will look at a preparation checklist and then participants will role play an interview. This session will look at some key interviewing ideas, including the history of interviewing, criteria for objective interviews, behavioral interviewing techniques, and critical incidents. During this session, we will look at what participants should do after the interview. Special attention will be paid to methods of rating candidates. A good orientation is key to an employee’s success. Participants will rate their company’s organization. We will also discuss common problems and some possible solutions. At some point in the life of almost every human resource professional, they will need to develop a training program. During this session, we will look at the training cycle. Participants will also explore the advantages and disadvantages of internal and external training. Performance reviews are a crucial part of helping an employee grow. During this session, we will explore the performance review process through individual exercises, a case study, and two lectures. Absenteeism costs companies more money every year. Through a lecture and a case study, we will look at common causes and solutions. During this session, we will discuss the role of compensation and benefits in retaining employees. We will also review the pre-assignment. This session will look at a four step disciplinary system that can be applied to any situation. Firing an employee is hard to do. Through discussion and a case study, we will look at some things to consider and some ways to make the process a bit easier. Exit interviews can be a great tool to help your company grow. We will discuss types of exit interviews and we will look at a sample. This entry was posted in Workshops and tagged HR, MIDDLE MANAGERS, seminars, training, Workshop. Bookmark the permalink.